Now, from the pages of 2000 AD comes a new game for the ZX Spectrum featuring Mega-City One's most famous lawman battling interdimensional entities in a future-shocked world! Cockney gangster Jimmy The Spug has decided to get into a more respectable line of work and has opened a chain of eateries providing 'authentic London cuisine' to the citizens of Mega-City One. Unfortunately, the food is not quite as authentic as advertised. Jimmy has cut corners and saved money by 'acquiring' illegal dimension-jump technology. Instead of importing sea-food from the shores of Brit-Cit, he's been obtaining stock directly from parallel universes. But these interdimensional eels are sentient and aren't too pleased to find themselves grabbed from their oceanic worlds to sate the appetites of greedy bipeds. Now the eels and a host of other displaced creatures have escaped and overrun the city, causing mayhem wherever they roam and/or slither. Judge Dredd is tasked with exploring the city and tracking down The Eel King, before shooting it dead. It shouldn't be too difficult - it's just a collection of eels. However, on his way he'll encounter the other beasts transported across the aether because of Jimmy The Spug's restauranteurial ambitions. Some are harmless and may prove useful, others mean no harm but are dangerous due to their intense curiosity, some will block Dredd's path, and others are from a dark eel dimension where all marine-life is a crime. Also be on the lookout for Justice Department's new Mechanismo Mini units. These malfunctioning machines have become violently unstable due to eels getting up inside them, and must now be destroyed. Dredd will also encounter friendlier robots that can transport him to areas otherwise impossible to reach. Go carefully. For the purposes of gritty realism, Dredd has only one life, (and the 3D Game Maker program I used didn't give me the option of adding more). What the Drokk is that? Zip file includes the instructions and mock inlay shown above, tzx, tap, z80 and sna files, PLUS a version you can run straight away without setting anything up! Just extract the files, click on "Dredd Over Eels.bat", (or "Dredd.exe" in the 'PC' folder), and you'll be up and running. You can even use your favourite control pad by selecting 'Kempston' from the options. 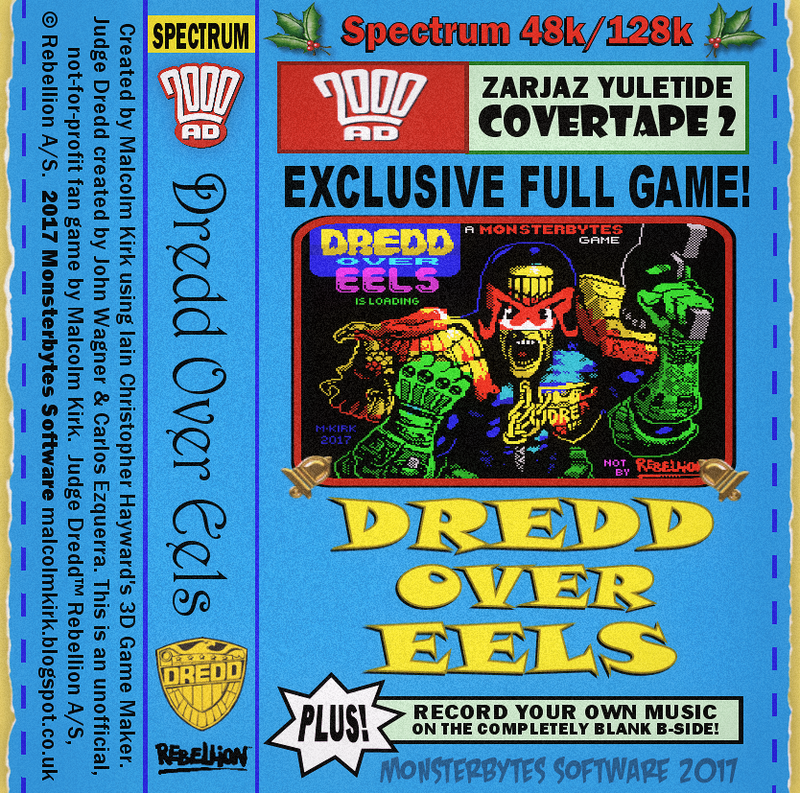 Dredd Over Eels is a completely unofficial, not-for-profit fan-game by Malcolm Kirk. Created using Iain Christopher Hayward's 3D Game Maker. Judge Dredd™ Rebellion A/S, © Rebellion A/S. 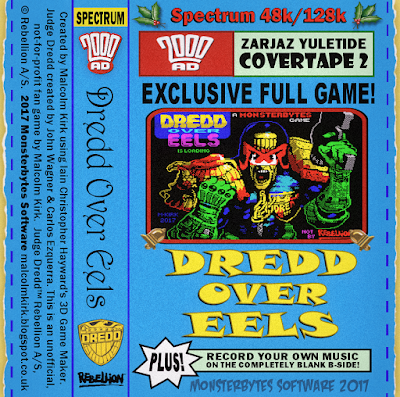 TO DOWNLOAD DREDD OVER EELS, CLICK HERE! TO DOWNLOAD ZOMBO'S CHRISTMAS CAPERS, CLICK HERE! TO DOWNLOAD THE FIRST ZOMBO GAME, CLICK HERE! Created in conjunction with the 2000AD MESSAGEBOARD ADVENT CALENDAR 2017. When you walk you can rotate right at the same time (whilst walking) but not left which is slightly annoying. Good game. Have a happy Christmas ! Oh good, a game that wasn't made with Cauldwell's Game Designer---- oh wait! 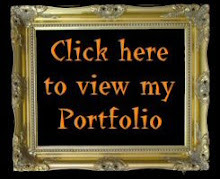 A gallery of my art for your perusal. A little girl with THE MIND OF A MANIAC! Free downloadable horror anthology comic! Digital UK comics showcase for amateurs and professionals alike.